The Best Way To Set Up Your Infrastructure! Cabling Services – Great businesses need to have a great foundation, and without that, no organization can ever take off. In today’s world every organization depends upon computers and storage of data to go about their day to day activities. If the infrastructure itself is not taken care of properly, then the whole system remains unstable. A lot depends on the infrastructure of your firm working up to its optimal levels, as does the integration of various networks and accessories to your existing infrastructure. 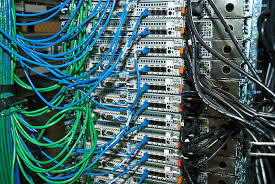 Structured Fiber Cabling is building or campus telecommunications cabling infrastructure that consists of a number of standardized smaller elements (hence structured) called subsystems which is an organized and planned infrastructure allows for reduced power and cooling usage and cost, efficient changes and upgrades apart from several other benefits for the users. We at VRS understand these requirements and proudly introduce you to our structured cabling services in Dubai which offer you the comfort of on-site, monitored services of fiber cabling in Dubai. Our approach towards solving complex problems and outstanding customer service has led us to accumulate the good wishes of several satisfied customers. For more details on Structured Cabling , contact us today at +971 55 5182748 or email us at [email protected]vrscomputers.com.